On Thursday this week a nationwide class action lawsuit was settled. The historic Keepseagle settlement agreement requires the United States Department of Agriculture (USDA) to pay $680 million in damages to thousands of Native Americans and to forgive up to $80 million in outstanding farm loan debt. The Indians filed the Keepseagle class action lawsuit 11 years ago. They alleged that for three decades Native American farmers were denied the opportunity to obtain low-interest rate loans and loan servicing from the USDA. The Indians alleged that this resulted in hundreds of millions of dollars in economic losses for Indian farmers. They said that these loans were given instead to their white neighbors. 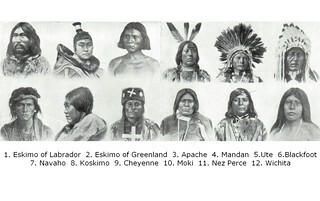 Native American Indians once inhabited the present United States from Coast to Coast. Today they number 4.9 Million (2008). Apart from language, the differences between Indian tribes is barely perceptible. They were once grouped into eight radically distinct languages, four of which are still in existence today.